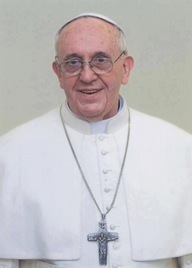 Runner-up in the conclave that elected Pope Benedict XVI, Francis is the first Latin American pontiff, the first from the Southern Hemisphere, and most remarkably, the first Jesuit to hold that office. Elevated at age 76 and conservative socially in nearly every respect, Francis brings with him a long history of service to the poor. He considers the present day's social and economic inequality a grave immorality.